Yudhisthira is a symbiosis of many different musical influences and since its forming by Ogi & Bugi in 1997 it represents a definition for uncompromising pure psychedelic trance. Being planted as a seed in the most fertile times for the goa/psychedelic scene, it has slowly sprung its roots deep within the foundational grounds of the movement, all the while keeping pace with the ever changing levels of production standards and the evolution of sound synthesis. The now fully grown tree is constantly bearing delicious fruits that have been carefully packed by different labels such as: Forestdelic, Sangoma, Purple Hexagon, Blue Hour Sounds, Vertigo, Glowing Flame etc. 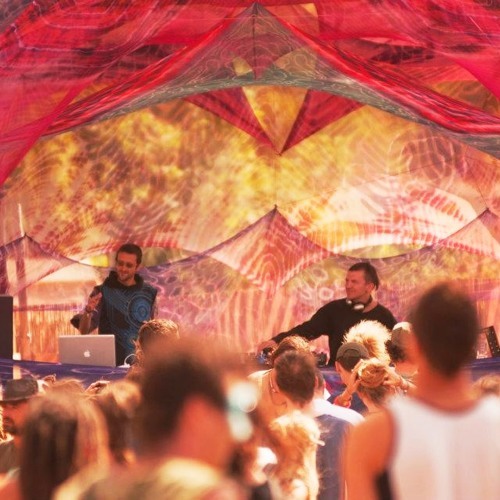 Up till date Yudhisthira has been featured in the line ups of the biggest festivals such as Boom, Ozora, Antaris and various others such as: Lost Theory, Tree of Life, Trimurti, Tangra, ChillOut Planet, God Bless, MetsaFestival to name a few and has toured almost every country around the planet from Japan, India, Russia, whole of Europe all the way to Brazil. Being set on a constant quest for the best recipe for a complete mind-blowing psychedelic trance experience Yudhisthira (Ogi) has teamed up with Kala to form AntHill and started a new solo project called Aumni.